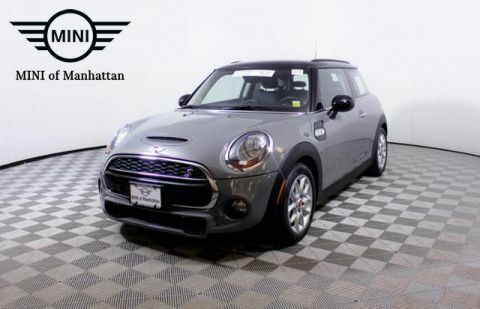 MINI Certified, CARFAX 1-Owner, GREAT MILES 10,835! REDUCED FROM $27,995!, FUEL EFFICIENT 31 MPG Hwy/25 MPG City! Heated Seats, Moonroof, Nav System, WHEELS: 17 X 7 5-STAR TRIANGLE SPOKE ANTHRACITE, Turbo Charged Engine SEE MORE! All Wheel Drive, Turbocharged, Satellite Radio, CD Player. 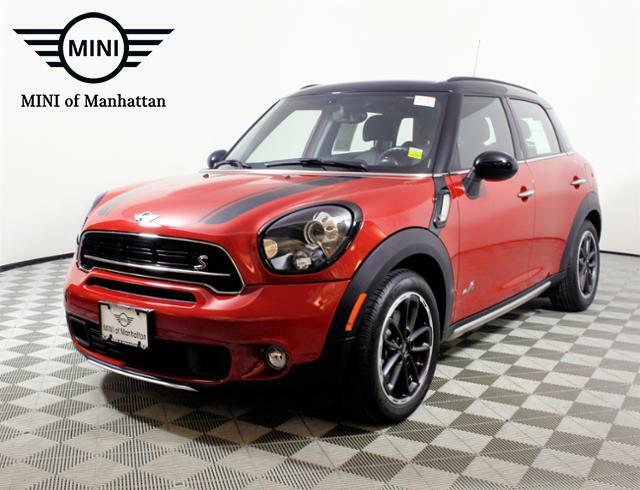 MINI S with Blazing Red metallic exterior and Carbon Black Leatherette interior features a 4 Cylinder Engine with 181 HP at 5500 RPM*. NAVIGATION PACKAGE MINI 6.5 Visual Boost Screen, Voice-Command, MINI Connected (6NM), Center Armrest, Real Time Traffic Information, MINI Wired Package, Smartphone Integration, MINI Navigation, Enhanced Bluetooth & USB/iPod Adapter, MOONROOF, COLD WEATHER PACKAGE Heated Front Seats, Auto-Dimming Interior & Exterior Mirrors, Auto-Dimming Rearview Mirror, Power-Folding Mirrors, JOHN COOPER WORKS INTERIOR PACKAGE MINI John Cooper Works door sill finishers, Black Checkered Interior Surface, JCW Leather Steering Wheel, Anthracite Headliner, XENON HEADLIGHTS, COMFORT ACCESS KEYLESS ENTRY, WHEELS: 17 X 7 5-STAR TRIANGLE SPOKE ANTHRACITE Style R141, TRANSMISSION: 6-SPEED MANUAL W/OD (STD), ALL-SEASON TIRES. Rear Spoiler, Steering Wheel Controls, Electronic Stability Control, Heated Mirrors, Bucket Seats. New York City is a colorful melting pot of thoughts, ideas, and self-expression. 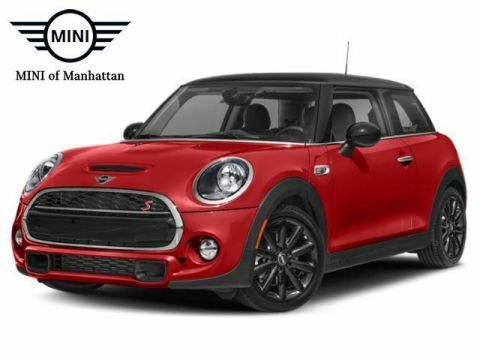 Perfect for MINI, where over 10 million combinations are possible. 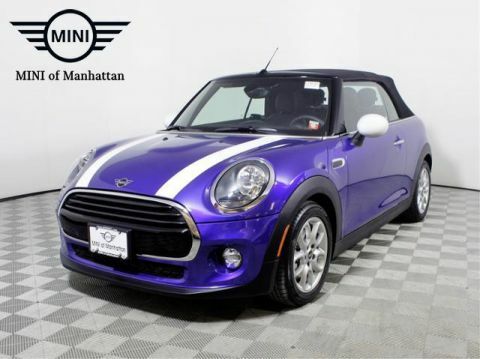 From style to performance, and everything in between, we will help you tailor your MINI to you. Looking to add a bit of flair? We have a wide range of dealer-installed accessories to put the finishing touches on your brand new MINI. While great effort is made to ensure the accuracy of the information on this site, errors do occur so please verify information with a customer service rep. This is easily done by calling us at 888-897-1794 or by visiting us at the dealership. 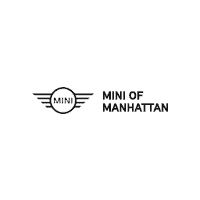 MINI of Manhattan	40.769440, -73.992440.